All members are welcome to attend monthly board meetings. The board asks that they receive a written notice, preferably 1-2 weeks prior to the meeting, so that they may prepare with proper documentation. Meetings are held the second Monday of each month at 6:00 pm in the Community Room at the co-op, unless otherwise noted. The board can be reached at board@bismanfoodcoop.coop or individual board members may be reached at the provided email addresses below. Glen Philbrick is the fifth generation living on Hiddendale Farm. Glen grew up working with dairy cows, raising gardens, and engaging in food production and food preservation just as his elders did. Growing food, cooking, and canning food has been a way of life which he is proud to maintain. Glen is one of the few growers of quinoa and amaranth in the state of North Dakota. Glen is excited to be part of the local foods movement in central North Dakota. You can contact him at glen.philbrick@gmail.com. Kayla Pulvermacher is Director of Member Advocacy for North Dakota Farmers Union (NDFU), whose mission is to protect family farms through member advocacy, value-added projects such as cooperatives, farm-to-table restaurants and educating members of all ages on agriculture. Before NDFU, Kayla interned for Senator Byron Dorgan and spent some time with the North Dakota Education Association. Kayla is a part of her church’s group, “Meal Love,” that focuses on bringing meals to folks who need help getting back on track. She is also an active alumna of her sorority, Sigma Alpha. Kayla has two sons; Jack 8, and Ty, 6. Feel free to contact Kayla at kayla.pulvermacher@gmail.com with any questions, comments or concerns. Kyra is a founding member of the Bisman Community Food Co-op and is looking forward to helping it grow. She has been an active member of co-ops in Oregon, California and New York, and believes that a food co-op functioning at its best can help transform the food system into one that re-connects us with our local producers and our environment. She would like to see the co-op continue its efforts to reduce waste, encourage connections with local artists, and foster member-owner engagement. In the past, she has volunteered at co-ops, cooked in a natural foods deli and worked on an organic farm. Her interest in sustainable food systems and energy and environmental issues led her to Baumstark Braaten Law Partners in Bismarck, where she now practices environmental, land use and agricultural law. 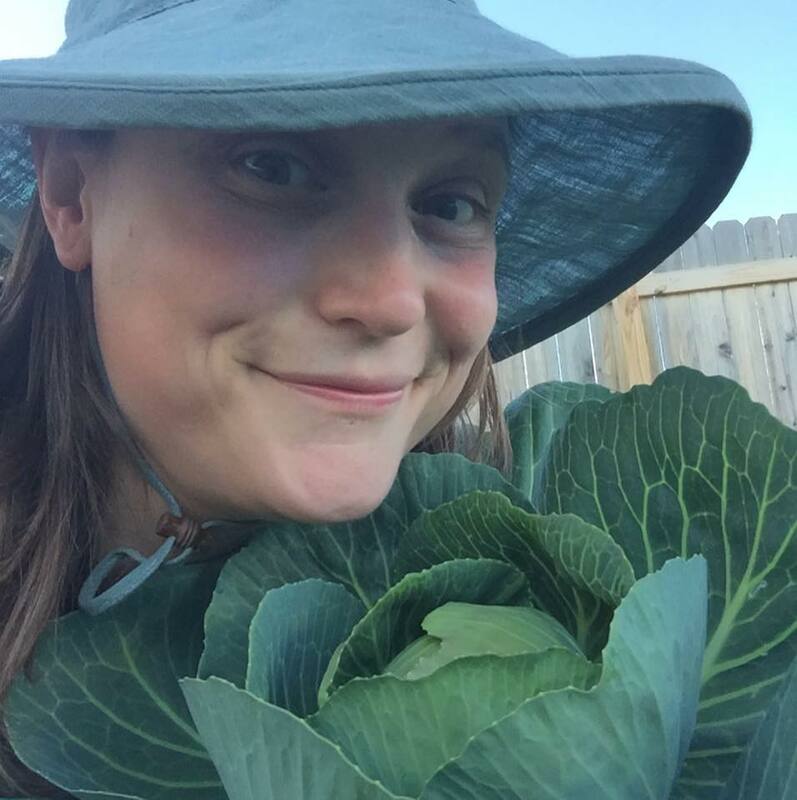 Hannah is a North Dakota native and farmer/co-owner at Forager Farm, a 2.5 acre diversified vegetable farm near Streeter, ND. For the past 3 years she and her husband, Jonathon, have grown vegetables for the Bismarck/Mandan, Jamestown and Hazen communities through a CSA, as well as through the ND Farm to School Program, BisMarket farmer's market, local restaurants and in 2016 as a producer for the Bisman Community Food Co-op. Prior to farming Hannah received a degree in Advertising and Public Relations and worked in marketing. When not in the field you can find her tending to her dairy goats or baking sourdough bread. She is passionate about our growing local food community and excited to help shape the future of our co-op. Hannah believes in open communication and lots of it! You can contact her at hannah@foragerfarm.com. Hannah serves as the chair for the Marketing Committee. Kevin was born and raised in Bismarck. After finishing a Bachelor’s of Science in Civil Engineering from North Dakota State, he migrated to California, presumably for a one year stint. Ten years later, he finally made his way back home so he and his wife, Lori, could raise their children near family. Kevin spends his weekdays as a Survey Manager at Bartlett & West, where he is a Professional Land Surveyor. Evenings and weekends he assists his wife in operating Roving Donkey Farm, a small vegetable farm just north of Bismarck. Kevin serves as the chair for the Finance Committee. Angie has been with the co-op since October of 2011. She is committed to volunteering with the co-op by learning and implementing the CDS development model, organizing board meetings, and working with those interested in promoting our mission. Angie feels that a food co-op will ensure local and healthy food is accessible/affordable and strengthen the local economy. She’s worked with food on many levels! She has a great deal of experience in retail health food and farmers market industry, healthy food service, organizing local food networks/ farmers markets, and has grown food on certified organic and permaculture operations. Angie grew up in Washburn, ND. After moving out of state for college, she’s been eager to move home and contribute to the communities that helped inspire a sense of pride for ND's farming heritage and co-op history. Angie works in the healthcare field with Sanford Health.